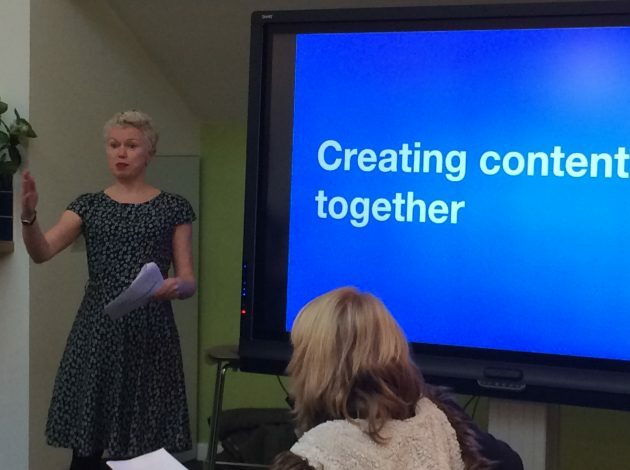 This month, myself and the rest of the Editorial team attended a content meet-up that ONS joint-hosted with the Intellectual Property Office (IPO) in Newport, open to content designers across government. We met colleagues from the Government Digital Service, the Driver and Vehicle Standards Agency, the Welsh government, Public Health England, Companies House, the Environment Agency, HM Courts and Tribunals Service, and HM Revenue and Customs. This was a good opportunity to mingle with other content specialists and discuss what we do. While we’re all part of the Civil Service, we’re not all on GOV.UK (ourselves and Welsh government have our own platforms). It became clear that many of us had different ways of working but faced similar challenges. The contrast between our work and that of GOV.UK content designers was striking. We don’t write the content we publish on ons.gov.uk. Our subject matter experts (SMEs) write our statistical bulletins, articles and compendia. We proofread for errors and house style, and work with stakeholders to improve the quality of our writing in the long-term. In contrast, GOV.UK content designers write all their copy, and consult or pair write with SMEs. Our role is more the gatekeepers, rather than the creators, of ONS content. Two of the sessions highlighted this difference. In his discussion on house style, Keith Emmerson described how content designers take responsibility for the development and updating of GOV.UK’s style guide. They will consult SMEs for accuracy if need be, but stakeholders don’t have editorial input. Again, this is very different from ONS. Our SMEs sit on our Style Council in order to provide their valuable statistical insight. For me the most interesting exercise of the day was the pair writing session, run by Sue Davis. We split into pairs and took turns to be the content designer and the SME. This helped us understand how this process can improve collaboration. With the large amount of data involved in each ONS release and our intense publication schedule (more than 600 releases a year), there hasn’t been scope so far for pair writing. However, a talk by TJ Day of Public Health England showed us a way forward for helping our experts write in a more accessible way. TJ discussed the common obstacles her team faced in getting their SMEs to write in a plain English tone of voice. She described the kind of arguments many in the room have heard – it is dumbing down, this is the way it has always been done, our users expect a certain level of detail and jargon and so on. TJ said that the solution was education, so she holds workshops with SMEs. The aim of the workshops is to improve writing skills, in particular avoiding jargon and the “curse of knowledge” to create a better user experience. In doing so, her team overturned a negative perception of them as “the publication police”. Our Editorial team are already planning to hold similar workshops in the future. TJ’s presentation drove home the value of such an exercise and gave us lots of ideas for how to go about it.